The practice of being mindful — simply being more aware and conscious of you moment to moment experience may seem out of reach by the standards of today’s busy lifestyles. 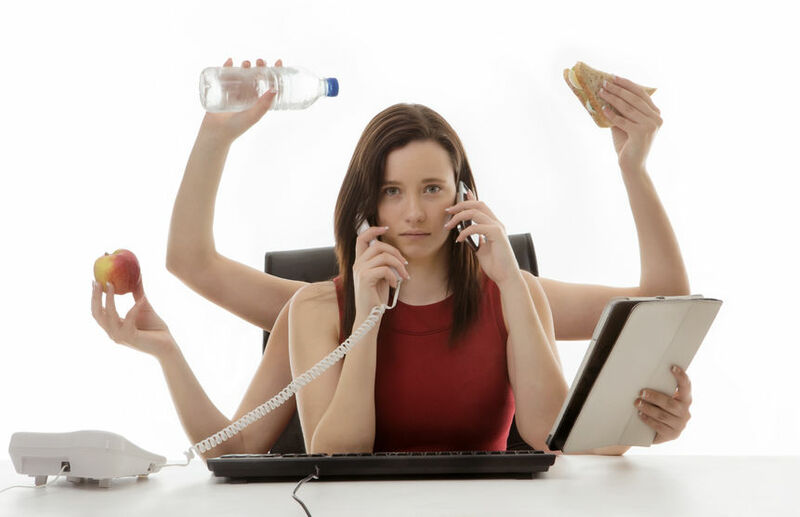 However, we’d argue that it’s precisely these busy lifestyles that require more mindfulness. Daily practice allows you to achieve your goals easier and enjoy your life more fully. At certain times the need for mindfulness is even more acute. Here are our top 10 signs that you need a bigger dose of just being present. 1. Feeling compelled to multitask. Single task instead. When you’re pouring water, just pour water. When you’re eating, just eat. When you’re bathing, just bathe. 2. Feeling rushed or stressed to get things done in a hurry. Instead slow down and make your actions deliberate, not rushed and random. 3. Filling your day with many tasks. Instead simply do less. If you do less, you can do those things more slowly, more completely and with more concentration. It’s a matter of figuring out what’s important, and letting go of what’s not. 4. Not leaving much space between activities. Instead, leave room between things on your schedule. That gives you a more relaxed schedule, and leaves space in case one task takes longer than you planned. 5. Never stopping to just do nothing. For 5 minutes a day, just sit in silence. Become aware of your thoughts. Focus on your breathing. Notice the world around you. Become comfortable with the silence and stillness. It’ll do you a world of good. 6. Worrying about the future. Instead, focus on the present. Become more aware of your thinking — are you constantly worrying about the future? Learn to recognize when you’re doing this, and then practice bringing yourself back to the present. Just focus on what you’re doing, right now. Enjoy the present moment. 7. Feeling distracted when talking to others. . How many of us have spent time with someone but have been thinking about what we need to do in the future? Or thinking about what we want to say next, instead of really listening to that person? Instead, focus on being present, on really listening, on really enjoying your time with that person. 8. Eating quickly and unconsciously. Food can be crammed down our throats in a rush, but where’s the joy in that? Savor each bite, slowly, and really get the most out of your food. Interestingly, you’ll eat less this way, and digest your food better as well. 9. Rushing through life . Just as you would savor your food by eating it more slowly, do everything this way — slow down and savor each and every moment. 10. Seeing daily tasks like cooking and cleaning as drudgery. Instead see them both as great ways to practice mindfulness, and can be great rituals performed each day. If cooking and cleaning seem like boring chores to you, try doing them as a form of meditation.